MGM has acquired the rights to Robert C. O'Brien's children's novel Mrs. Frisby & the Rats of Nimh for a live action/CGI animation hybrid adaptation. 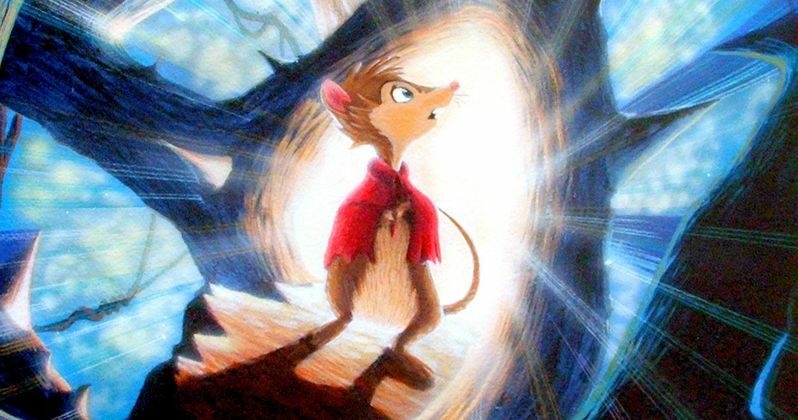 Michael Berg (Ice Age 5) has been hired to write the screenplay, which will focus on an origin story involving an "imperiled mouse protagonist" who befriends a group of lab rats as they become "hyper-intelligent." The story will follow these rats as they escape a secret laboratory and become great minds in their civilization, as they try to outwit the humans who have been chasing them. The novel, which was first published in 1971 and won the Newberry Medal a year later, was adapted into the 1982 animated feature The Secret of NIMH, with a voice cast that included Derek Jacobi, Dom DeLuise, Shannen Doherty and Wil Wheaton. The animated adaptation spawned the 1998 sequel The Secret of NIMH 2: Timmy to the Rescue. MGM hopes to start a franchise with this new live action/CGI hybrid adaptation. Paramount previously tried to relaunch the franchise, but it never came to fruition. Daniel Bobker and Ehren Kruger are producing Mrs. Frisby & the Rats of Nimh through their Bobker/Kruger production company. No director is attached to Mrs. Frisby & the Rats of Nimh at this time. Michael Berg has served as a writer on all of the Ice Age movies, including Ice Age 5, which is set for release on July 15, 2016.